The White Face Strutter is the perfect decoy for someone who is looking for a less intimidating version of our original strutter decoy. With a custom painted white face, he represents a tom that is ready to make love, not war. After all of the success over the White Face Strutter Decoy, we had to to try out the paint scheme on a Jake decoy. We weren’t disappointed with the results! When customers started asking about a Jake decoy version of the White Face Strutter, we had to release this Jake to the public. Ultra realistic paint and texture detail that mimcs the reflections and iridescence of actual turkey feathers. The most durable and dependable material on the market. Self healing and holds its shape. 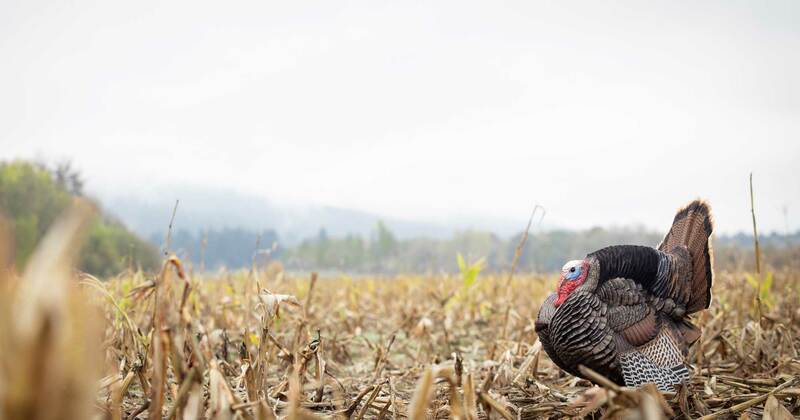 The fact that this decoy represents a tom that is focused on mating, not fighting makes it approachable to all gobblers and not just dominant toms. The White Faced Strutter is the brain child of Matt Winters (Kansas Premier Outfitters). After studying bird behavior for years, he approached us about doing a custom white headed strutter decoy. He noticed that often, right before breeding, a toms head color would change to white. While the tom was focused on breeding, other gobblers would run in and try to get a piece of the action. We agreed to at least create a couple for product testing, but we couldn’t believe the results. In the first year of hunting over this decoy, Matt shot 72 toms with his clients. The amazing part was, it wasn’t only dominant toms that felt comfortable running in. 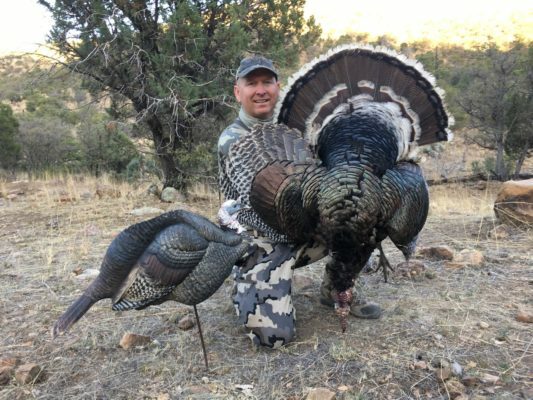 Dominant, subordinate and even jake gobblers felt would sprint towards the decoy all because the head color now gave them the message that there was a hen nearby ready to breed and this tom was more interested in making love than picking a fight with them. After two years of product testing, we are excited to officially add the White Face Strutter into our decoy line. This variation of our strutter decoy is custom painted with a white face to represent a tom that is wanting to breed and is less interested in fighting with other gobblers. This makes the White Face the perfect decoy for hunters who have always wanted the attention demanding benefits of using a strutter, but still want a decoy that’s not too intimidating for 2-3 year old birds to charge in on. Selfilmed did a great write up on their experience and opinion of our new White Face Strutter. 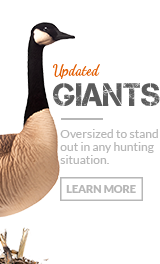 Read their article to learn even more about how this decoy has changed their hunting.